It's worth noting that the median age of Calpurnia's band members is 16. It's also worth noting that the young, surf-rock-leaning band have blown up exponentially due to a certain lead singer who fell in love with a girl named Eleven on a Netflix show. Yet, despite the immense pressure, the band proved that they are more than able to rise to the occasion. 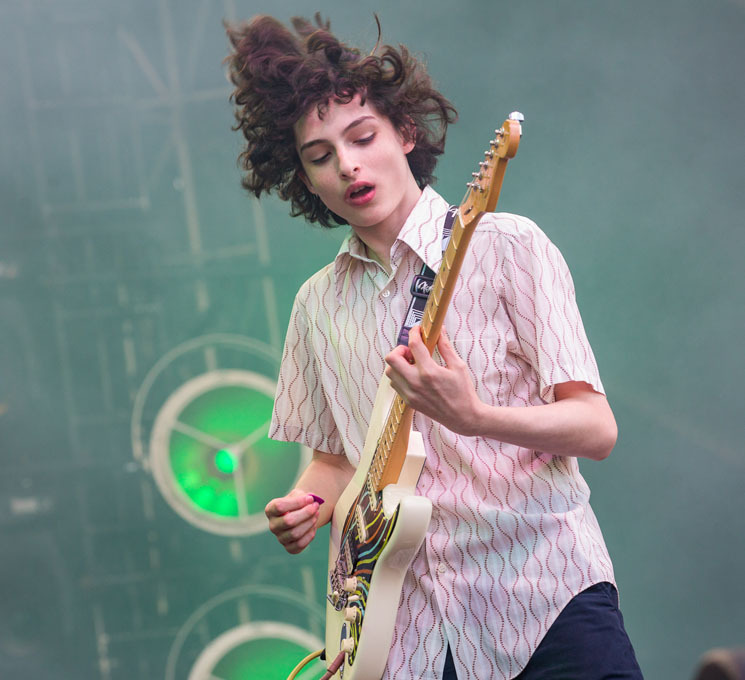 Taking to the stage with the sun setting stage left, Finn Wolfhard and company launched into "Wasting Time" off their EP Scout to undulating screams from the girls (and boys) in the crowd. Followed shortly by "Greyhound," with stage banter in between that saw the excited members talking over each other, and asking the crowd a variety of questions, it was clear that the band were still trying to figure out their true performance style. As of now, it leans more towards early 2000s punk rock with a lot of jumping and head-shaking, but there is clearly still room for experimentation. And while the crowd undeniably came to see Wolfhard perform, it was lead guitarist Ayla Tesler-Mabe who stole the show with her excellent guitar chops. Moving through the rest of their EP, and with a shoutout to Twin Peaks, the band proved that while they're still green, there's nowhere to go but up.